Truck Camper Magazine examines the importance of mobility in current and future truck camper design. With 85 million Baby Boomers in the USA and Canada, this topic requires more industry attention. Every year for almost a decade, Truck Camper Magazine’s readership has grown in numbers, and has become a little older. 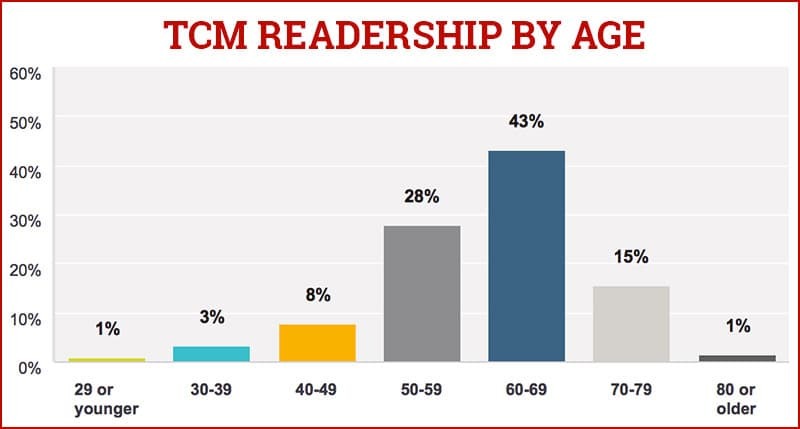 On balance, we are attracting more younger readers, but the overwhelming majority of our readership (over 71-percent) belongs to the baby boomer generation (born 1946-1964). Having a simultaneously growing and aging readership is both a fantastic opportunity, and a concern. On one hand, Truck Camper Magazine is effectively reaching the most valuable demographic in history. Even better, retired and retiring baby boomers should be in the driver’s seat – literally and figuratively – for at least the next 20 years. Sales managers and marketing directors rejoice. On the other hand, our aging readership is also a sign that we need to work harder at reaching a younger audience if this magazine – and the truck camper industry in general – is going to continue to thrive past 2035. 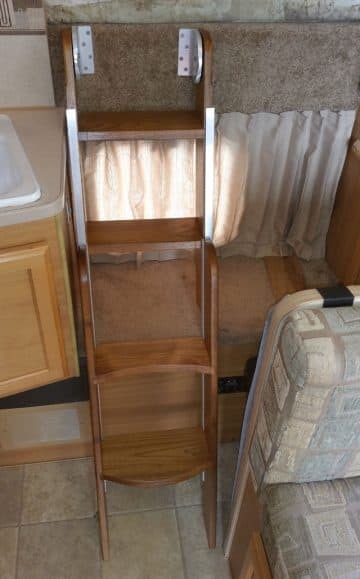 This isn’t a problem exclusive to the truck camper industry. The greater RV industry, not to mention almost every non-digital hobby you can think of, is looking into the face of extinction after the baby boomer generation. Even the golf industry is struggling to successfully attract the next generation away from their laptops and smartphones. Fortunately, the opportunity the baby boomer generation represents is unprecedented. While the truck camper industry should not ignore younger demographics, it would be fool hardy not to focus the majority of the product design, marketing, and sales efforts on the 85 million baby boomers in the United States and Canada currently between the ages of 52 and 70. Unlike any other demographic, they have the numbers, they have the interest, and they have the means. What Does This Mean For Truck Camper Design? We have met and talked with thousands of fellow truck campers from coast-to-coast. Per our readership demographics, most of the truck camping folks we meet are baby boomers. Whether it’s a casual conversation between campsites, or a sit-down pow-wow around a campfire, the topics that come up, and the exchange that follows informs everything we do at Truck Camper Magazine. In these conversations, one of the most repeated subjects is mobility. 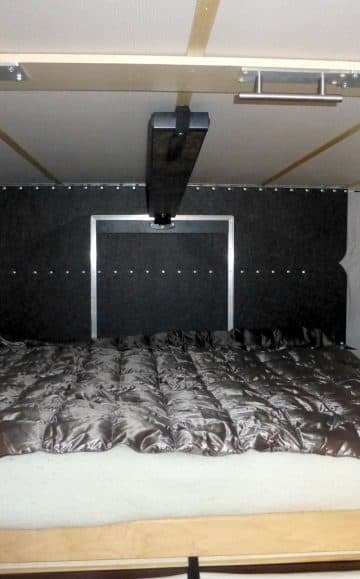 Specifically, the ability to move about a truck camper safely and in comfort as their flexibility, steadiness, and strength diminishes over time. To be clear, many truck camper owners have yet to experience these symptoms, or haven’t been slowed down by them yet. However, they are thinking about this eventuality, a concern often triggered by caring for their elderly parents. 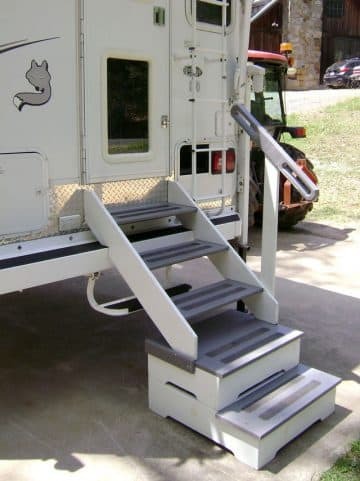 Most of their concerns are centered around the entry step system and the cabover entry way. In short, they wish the industry would take their mobility changes to heart and design their entry step systems and the cabover entry ways to be both safer and more comfortable. 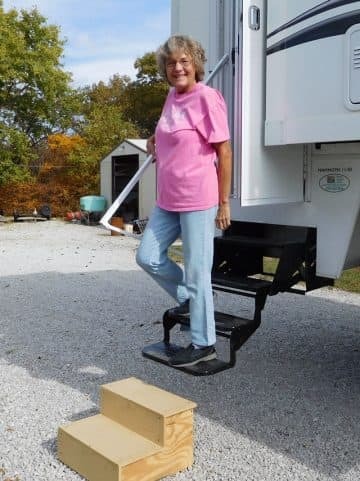 Before anyone in the industry dismisses these concerns, consider this; the mobility-challenged truck camper owners we talk to are often considering something other than a truck camper. They are deeply concerned about falls from their truck camper, but do not want to give up their traveling lifestyle. Put bluntly, if the truck camper industry ignores the growing importance of mobility, many life-long truck camper owners will buy small mobility-friendly motorhomes. We are already starting to see this happen.